If you can help - please do, because without your help,we are not going to make the cat food bill. The kitties have doubled along and it cost well over $30,000.00 a month to run Puffy Paws Kitty Haven. We can not go on without cat food. That will be inhumane . We beg of you, if you heart and budget can afford to help - please do. A $5 $10 $25 Donation all adds up. We can not do this alone and we need the help of the kitty lovers around the world to feed the kitties. If you can help please do. 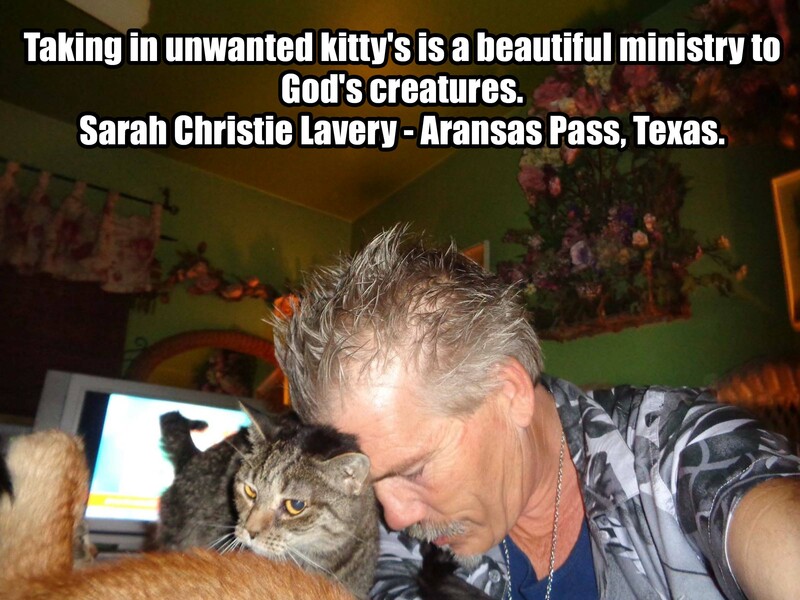 Rick & Chrissy & Da Kitties. 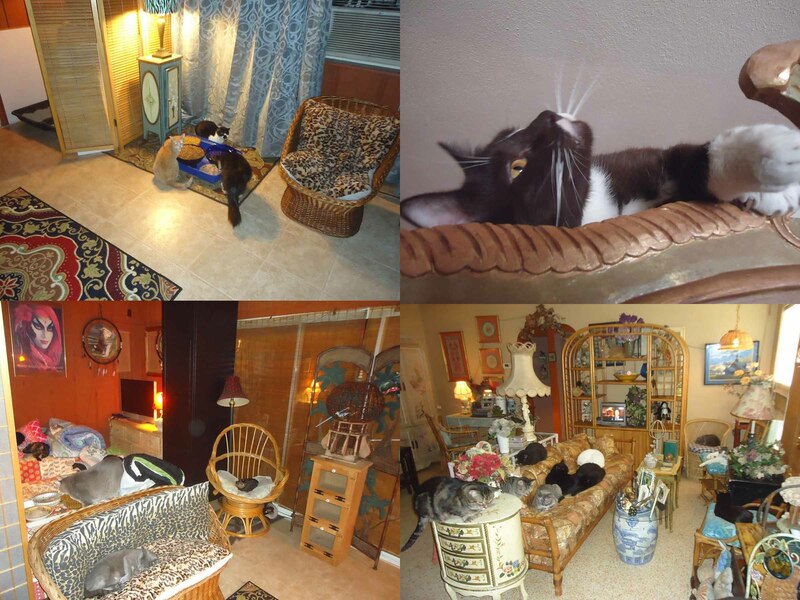 Englewood, Florida’s “World’s Greatest Cathouse,“ Puffy Paws Kitty Haven is 501(c)(3) a non-profit, no-kill cat hospice and rescue specializing in providing quality and loving care to special needs cats and finding homes for the adoptable kitties under their care. Puffy Paws cares for kitties with feline leukemia, FIV, feral cats, unadoptable kitties, one eye cats, senior kitties, kitties that do not use their litter box, abused kitties, cats with neurological disorders, abused kitties and more - basically unwanted and unadoptable kitties that would be euthanized elsewhere.
" 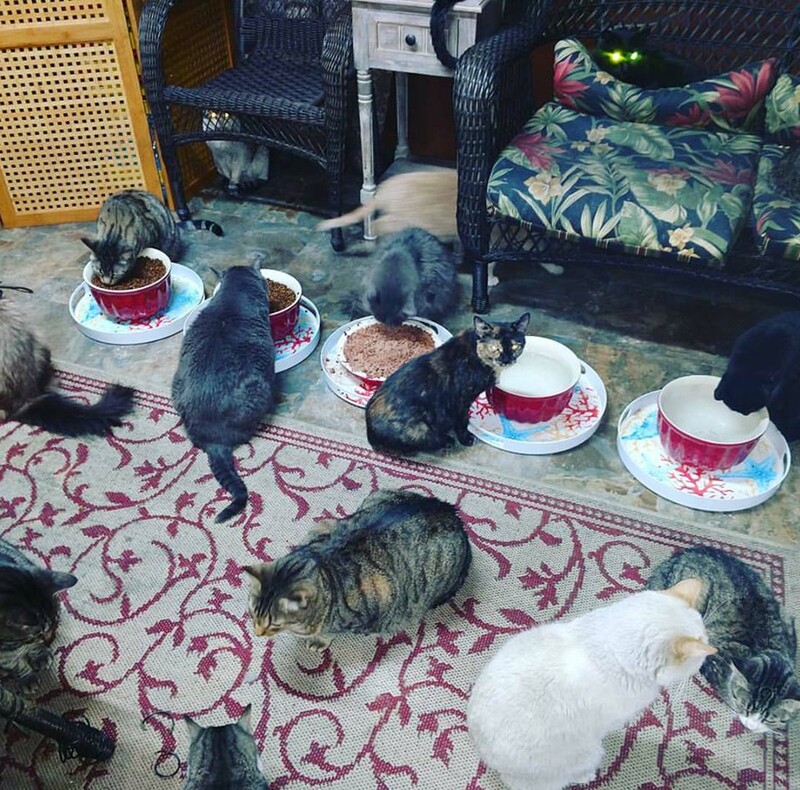 The Cat’s Meow of Nonprofit Organizations"
IT COSTS $4.84 TO FEED EACH KITTY A WEEK AT PUFFY PAWS. $0.69 PER CAT PER DAY. 12 In A Case - $18.04 Per Case. You have the power to advert this tragedy. Or you may make a donation of your choice. 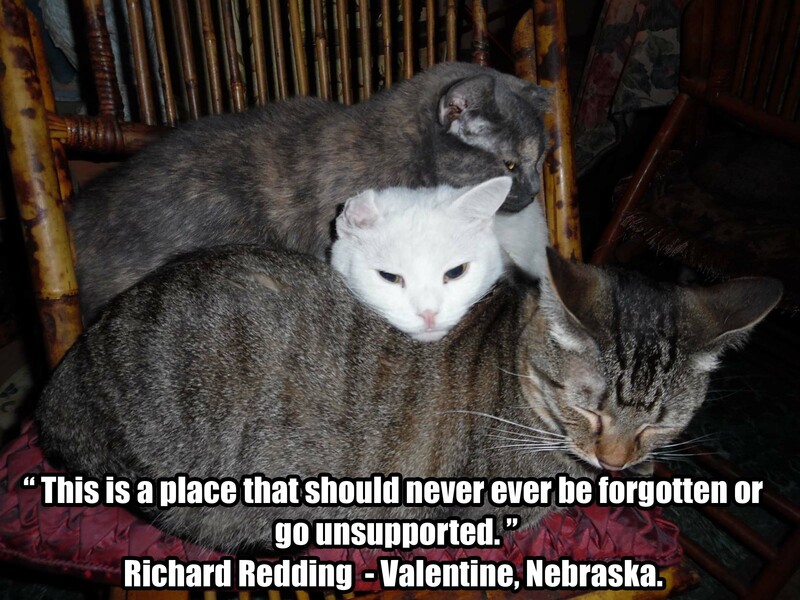 A $3, $5, or $10 donation is like a million bucks to the kitties. Why Are The Kitties On A Premium Cat Food ? 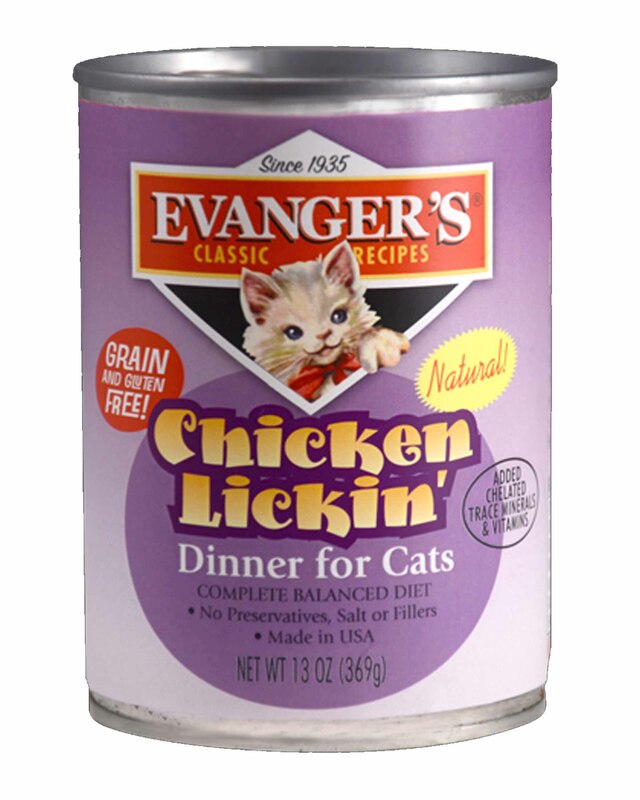 We switched the kitties diet out of necessity to a premium cat food, years ago. We had them on Friskies. it was not working out anymore for the kitties. What eventually happened was, Friskies was like Chinese food or Taco Bell to the kitties. They will eat and eat, 70 pounds a day, and not get filled up. 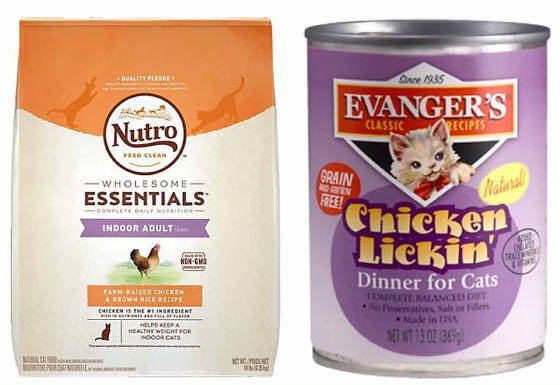 Being a Cat Hospice for Special Needs and unwanted kitties, we had to change their diet immediately. In reality, it was never cheaper having the kitties on a diet that was not a premium one. Please do not forget, a healthy diet meant less sick kitties at the vet throughout the years since the change over. Puffy Paws Kitty Haven buys the cat food once a week from the wholesaler Phillips Pet Food & Supplies. We do not pay retail. Phillips is the premier pet food and pet supply distributor with 12 distribution centers, and it is C.O.D every Friday. Puffy Paws Kitty Haven saves over $10,000.00 a year buying the kitty food wholesale instead of retail like we used to do. So, it was never cheaper having the kitties on on a diet that was not a premium one. 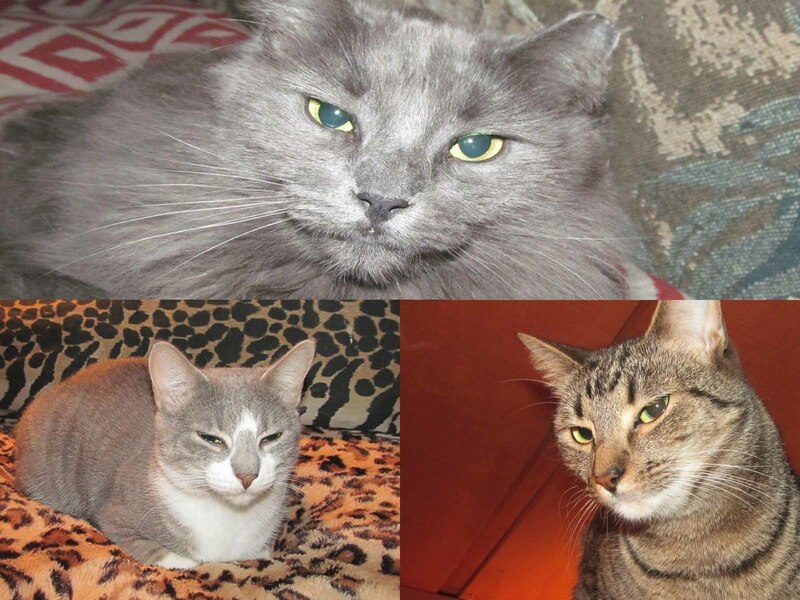 This was the best decision to make in order to continue our mission here at Puffy Paws Kitty Haven in keeping the special need kitties and unwanted kitties under our care in the best health possible. As you know, Puffy Paws cares for kitties with feline leukemia, FIV, feral cats, unadoptable kitties, one eye cats, senior kitties, kitties that do not use their litter box, cats with neurological disorders, abused kitties and more - basically unwanted and unadoptable kitties that would be euthanized elsewhere, and the premium cat food, fits all their nutritional needs. 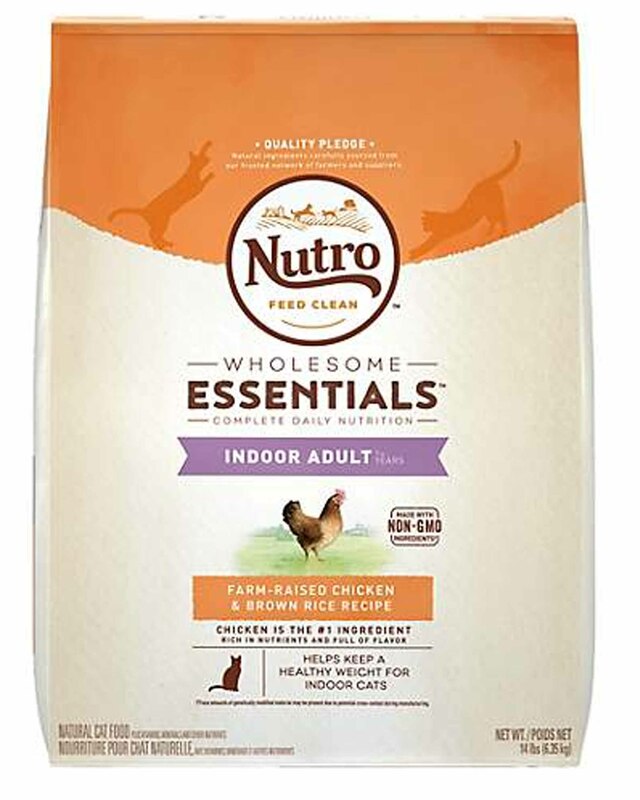 Being a Cat Hospice for Special Needs and unwanted kitties, we had to change their diet in order to have the kitties in the best ultimate health. Thank you .These two words can never express what Chrissy and I feel. You have done where others do not dare to go. What a difficult road we all travel for the sake of 200 special needs kitties that depends upon the entire world of kitty lovers to see the light of tomorrow. We all are taking a stand, by words and deeds that every kitty life is just as precious as the next. If you can help. Please do.